Gangchang (right) in a bullfight. 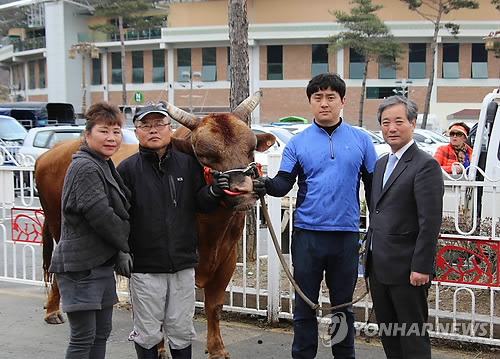 CHUNGDO, March 22 (Korea Bizwire) – Gangchang the fighting bull has set a new record. 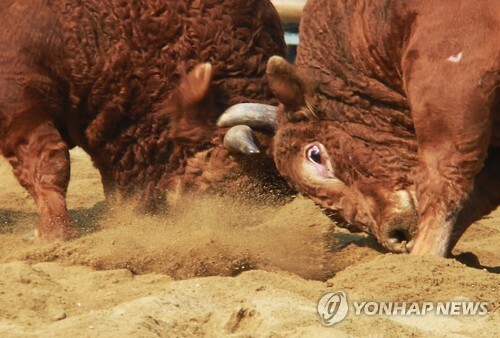 The bull is one of the strongest contestants in Cheongdo bullfighting. Cheongdo bullfighting is one of the representative traditional events of the region, which goes back 1,000 years. 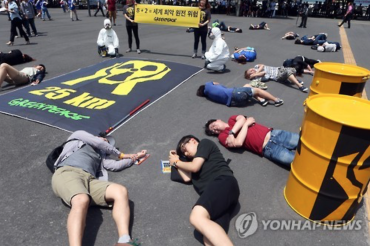 The event has its origins in the tradition farming culture of the Korean peninsula. 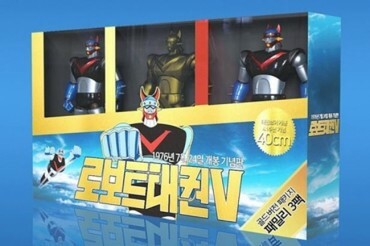 According the Cheongdo Public Business Corporation, Gangchang fought his 50th match on March 20. 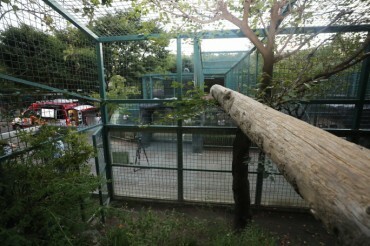 Although he lost to rookie Blackbear after six rounds, the audience cheered and applauded for the veteran bull. Gangchang won his debut match in September 2011. Since then, he set a record by appearing in 50 matches in a period of only five years. The 11-year-old veteran has 34 wins, two draws, and 14 losses over the past five years. He is one of the sport’s stars, and gained his reputation with his great scores. 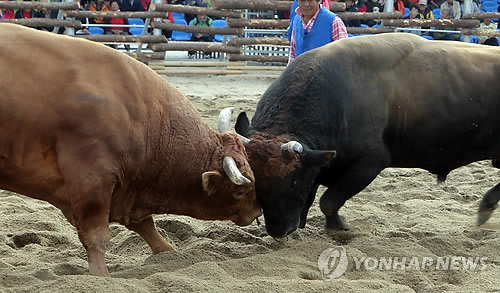 Officials at the Cheongdo Public Business Corporation explain that a fighting bull gets a month of rest after each fight. If the bull has good scores, it can fight again after a month, but if not, the bull only has an opportunity to participate in matches every three months. Gangchang’s record of 50 matches in five years reflects his great scores, as bulls that have good records would usually only fight 30 times during the same period of time. Ahn Gui-bun, Gangchang’s owner and the first female owner of a fighting bull, is honored. She hopes that her bull can be healthy and participate in more fights to entertain people for as long as possible.